For the third #letsblogoff (my second entry in this group effort to cure the world of ills via blogging on a single topic), my twitter buds chose a meaty question: Are college grads ready for the real world? Warning: things don’t end where they start off. What’s Wrong With Kids — Yesterday? We all heard that knock right out of school – What’s wrong with kids these days? My gen heard: cut your hair, turn down that music, can’t you do something useful with your life? It’s the perennial generation gap. Now there’s a plan with a short time horizon! So what happened to Boomers post-30? We became the establishment. Natch. Eventually, we had to take the reins and assume responsibility. That’s inevitable. And when we did, it turns out we were better at organizing protests than truly changing the world. The generation that thought we put the R in Rebellion became (mostly) authoritative, ideological, Wall Street money makers and Big Business CEO’s. Why in the world is that? I have an idea but first back to those new college grads,Gen Ys. What’s Wrong With Kids – Today? Gen Y’s, do you have a better plan? Apparently you study less, live with your parents longer, get married later, maybe have kids first, fight for gay rights, assume women’s and racial rights, rather be on American Idol than fly to the moon, and (get this!!) you can’t even support yourself. While the Boomers and Gen Xs flattened the globe into a monster-sized playground, Gen Ys played high-speed digital games, built powerful social networks, and saw friends become stars via YouTube and reality TV. They are Digital Natives, fully connected 24/7, and seeking an Epic Win. In fact, rather than rebelling (which in the hegemonic world actually reinforces the existing system) Gen Y’s are creating a new and potentially more powerful, more vibrant, less resource-intensive world. They might actually be building a real world – ok, a hybrid real/digital world — that can be effectively balanced. Are We Ready for the Age of Flip Flops? Earth shoes were made for walking. On the earth. 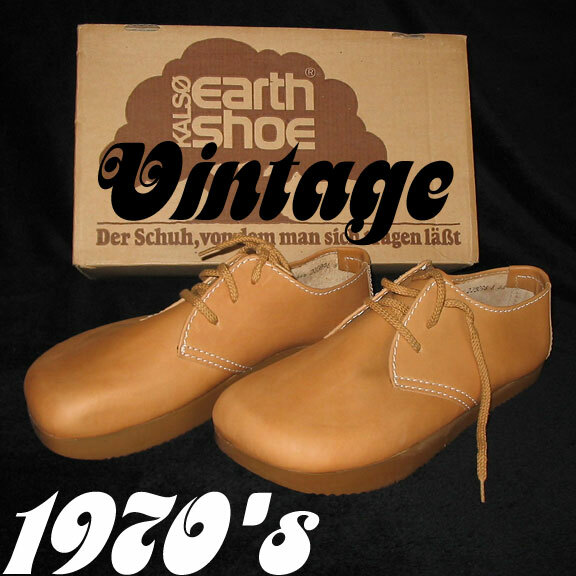 They were earthy and so were the Boomer hippies who favored them. Earthy things take earthy resources, energy, and machines. Our Boomer world is Big Physics. 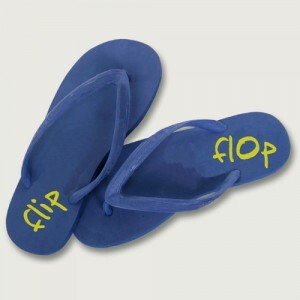 Flip flops on the other hand, are fragile, flimsy, and made for long days at the beach or sitting on your tush rocking to tunes while you game the day away. Thing is, in the next real world, we might game for a living. That’s right. Millennials are finding a way to turn fun into profit. Their world is Mega Pixels. We will likely travel, shop, learn, connect, produce, and get health care primarily via computers. And according to game guru, Jane McGonigle, Institute for the Future, computer gaming is good for us. It builds community, intense concentration, and most of all, confidence that we can achieve an Epic Win. Unlike the real world where our largest life lessons arrive in the form of defeats and exhausting resources, digital games have no limits. Plus at any given moment as a reward for exceptional performance, you can experience a monumental win. What’s more, everyone else can too. There are absolutely no shortages of possible wins. That in itself frames an entirely positive experience. Imagine if the game world IS the real world. While Millennials have teethed on joy sticks and cell phones, Boomers and Gen X’s are mere immigrants to digital reality. We learn these skills like a second language; they live and breathe them. Even while we create the toys, it is Gen Y’s that hyper-extend the power of the media. Boomers, how did we let this happen? How did the generation that supposedly was the largest, most powerful cohort ever to walk the earth allow these upstarts a way to shove us into obsolescence prematurely? Social change experts Strauss and Howe call it the Fourth Turning. Four types of eras, or Turnings, last for 15-20 years each and cycle continuously. 1st Turning, Outer-Driven Era: a new sense of community arrives. 2nd Turning, Awakening Era: inner life blooms with spiritual renewal, artistic innovation. 3rd Turning, Inner-Driven Era: cultural and social life fragments. 4th Turning, Crisis Era: conflict reins supreme and spiritual curiosity declines. We entered a Crisis Era, the so-called Fourth Turning, around 2005 and it’s estimated to last until 2020 or 2025. These eras frame our worldviews and create generations with unique characteristics. Boomers, born during 1st Turning/Superpower America are idealists/prophets. Gen X’s, born during the 2nd Turning/Boom Awakening are reactive/nomads. Gen Y’s, born during the 3rd Turning/Millennium changeover are civic/heroes. The next generation, along with the Silent Generation, will experience the current 4th Turning/Crisis era during their youth, imprinting them as adaptive/artists. In other words, when Boomers took the reins, we became moralistic (see graphic), which works for protests, but is hardly a formula for revolutionary leadership. On the other hand, Gen Y/Millennials are truly transformative. As these civic/heroes emerge, their interest is power and they are instinctive team players. They become builders and doers. While Boomers went looking for meaning, Millennials are meaning-makers. They share, publish, curate their own works and connect with the works of others. During emerging adulthood, “Civics develop activity oriented peer relationships, and a strong sense of generational community” (Strauss & Howe). That is exactly what this generation is doing right – collectively creating a way out of Crisis. Don’t worry, we will all play parts especially during the next decade but Gen Ys eventually will run the show. Boomers and Gen Xs were stuck with a modern industrial world that needed our attention for another generation. Millennials don’t have those same interests. They have the tools and technology, and most importantly, the zeitgeist and worldviews to think and act in a brave new digital world. They will be heroes that show us a new way to trim our physical uses into a just-right fit. Plus they will enhance the real world with digital realities of unlimited potential. The question isn’t:”Are college grads ready for the new world?” Or even, “Is the world ready for them?” We have to ask ourselves: Are we ready for the world they bring to us? Admittedly, there’s many ways to slice this pizza, as my brilliant twitter friends prove. Virtual reality creates a whole new world – such as Second Life. Augmented reality overlays digital images and data in the real world. We will love these functions, I think. Imagine the things you can see on your computer screen but now they will appear as overlays in real life. Eventually, the headset will be smaller, lighter. In the future, you’ll just wear glasses or contact lenses. So don’t imagine wearing a clunky headset when you visit a job site. That ’ s purely 2010. I did a presentation for London architects and engineers on augmented reality; here’s my slideshow . Notice there’s several ways to experience augmented reality, from using mobile apps to heads-on display. There’s even rooms where the images create the sense of space, they surround and envelop you. For instance, your body actually believes going down stairs. Yesterday, Design Observer featured a two part article titled “Sense of Place: A World of Augmented Reality.” It’s a theoretical look at the changes AR makes to our understanding of cities. BTW, I have more than a passing interest. I am researching and writing a book on social tech, architecture and cities that will feature augmented reality. Already people are using Layar and other apps to change their experiences of cities. How soon will we be using it in our offices? Good question. WorldViz says it’s today. Universities look to be a target market with discounted pricing. Large firms and early adopters can jump in. Think of VR/AR as more than a presentation tool – it’s an experience. We can involve people instead of making them spectators at our table. Truly, a technology to celebrate.